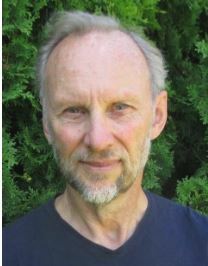 Mark de Bruijn was nominated to be the North Island-Powell River Green Party candidate in the 2019 election. Photo sourced from the NIPR Greens website. CAMPBELL RIVER, B.C. – The North Island-Powell River Greens are launching their election campaign on March 23rd. This is after party members nominated Mark de Bruijn on March 10th to represent the North Island-Powell River riding. de Bruijn moved to the Comox Valley 15 years ago, and worked as a high school science teacher in Campbell River. According to the NIPR Greens website, he also worked as a principal in the Campbell River school district. The campaign is set to launch on the 23rd at the Maritime Heritage Centre from 3:30 to 5:30 p.m. The launch is open to the public, and residents are encouraged to attend. The launch will also give an opportunity for residents to meet party leader Elizabeth May, as well as North Island-Powell River candidate de Bruijn.